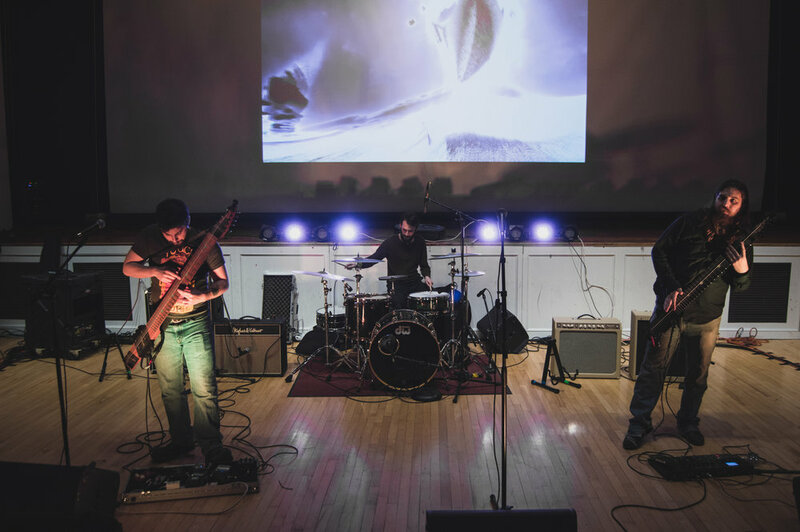 GEPH is a Boston-based instrumental progressive jazz metal trio riding the very cutting edge of contemporary music. With Josh Goldberg and John Tyler Kent on Chapman Stick, and Josh Merhar on drums, the trio sounds as big as a five-piece. Together they work to expand the modern conceptions of arranging and composing in a heavy, intense and still succinctly musical format. Forming in September of 2014, the band immediately set to work. GEPH released Splinter as their debut single in January of 2015, and that summer played all over the American Northeast, from the border of Canada all the way down to farm country New Jersey. They released their debut album in March of 2016 and again hit the road in the summer, expanding to the Northeast festival circuit. That fall GEPH began writing music for their second album, and in early 2017 they released a new single, Whole Body Headbang, and launched an IndieGoGo campaign where they managed to raise close to $10,000 in order to record their second album, “Apophenia” in a reputable and high level studio in Boston. GEPH once again played around the Northeast during the summer of 2017, as well as recorded their 2nd album. With the new material finished, GEPH headed out on tour of the American Southeast with Philly rising-stars In The Presence of Wolves in early March of 2018. They plan to release “Apophenia” on July 6th, 2018.